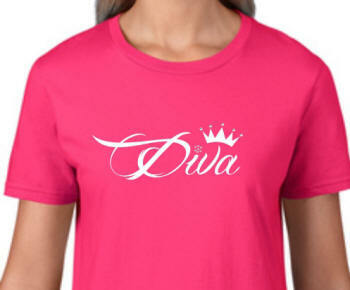 This ultra cotton Ladies tee shirt features a pretty Diva design. Diva is done is a fun flair script with a Diva crown and crystal rhinestone embellishments over the i in Diva and the points of the crown. It is available in hot pink, pink and white and sizes small - xxl.